The project “Herbstblatt” or “Autumn Leaf” was implemented in October 2014 for the Osteopathie Central practice. 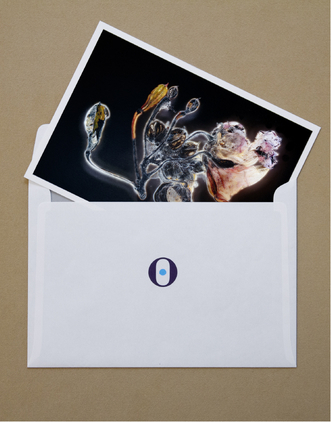 It involves the positioning of an artwork within the surgery and a patient mailing of a limited edition art card associated with it. “Autumn Leaf” is a work by Lorenz Schmid. His works are reverse-glass creations, precisely reproduced dried flowers, just as we would see them in the herbarium. Lorenz Schmid photographs these flowers in the dark and through a glass plate. The flower is illuminated by the incidental side light only, which gives the object behind the glass a particular luminosity. Photographed in high resolution and presented as larger than they actually are, they are reminiscent of structures that you may see in anatomy and cells. 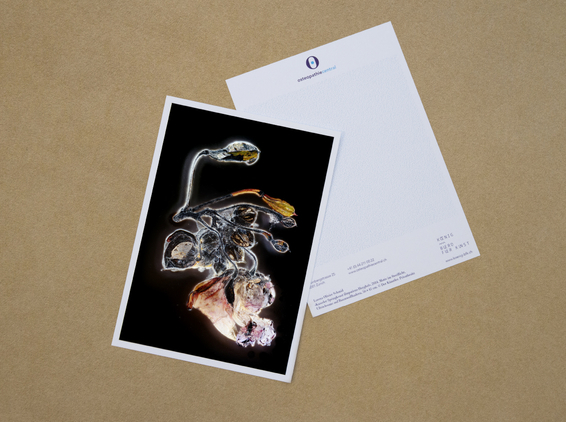 “Autumn Leaf” links up to the project “Sonne in die Knochen” (“Sun in the bones”), created in May 2013 for the Stadler osteopathy practice, for which an art card by Michael Noser was mailed to the patients of the practice. The concept: Whilst the original work hangs in the waiting room, where it can be enjoyed by those visiting the doctor, each patient gets their own little “piece” of this art sent to their home. 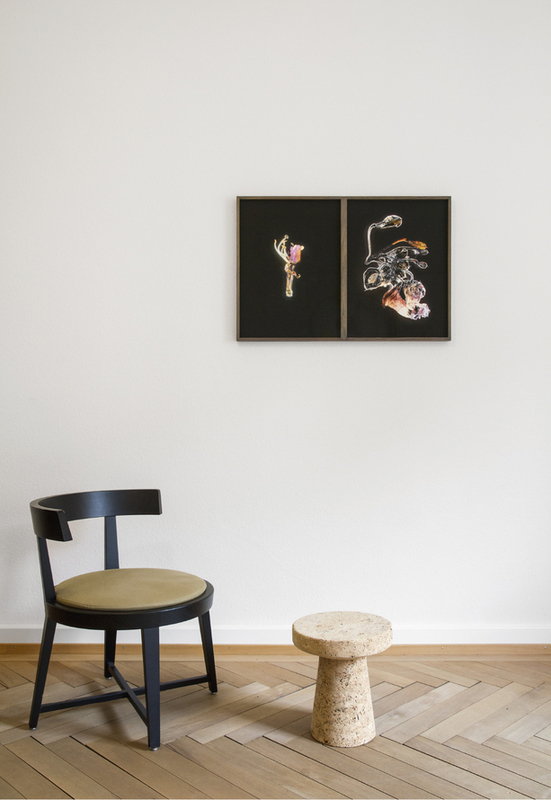 Waiting room of the practice for osteopathic medicine with two works by Lorenz Olivier Schmid. Left: “Geissblatt” (Lonicera purpureifusca), 2014.